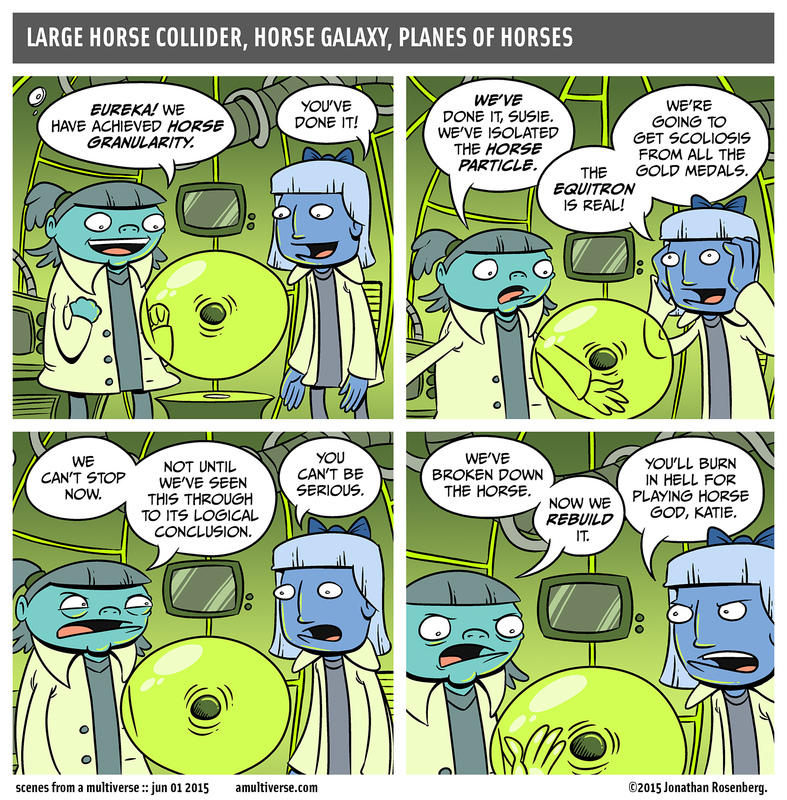 And thus concludes our Horse Collider trilogy, started Monday and continued Wednesday. Or does it? There are so many unanswered questions! 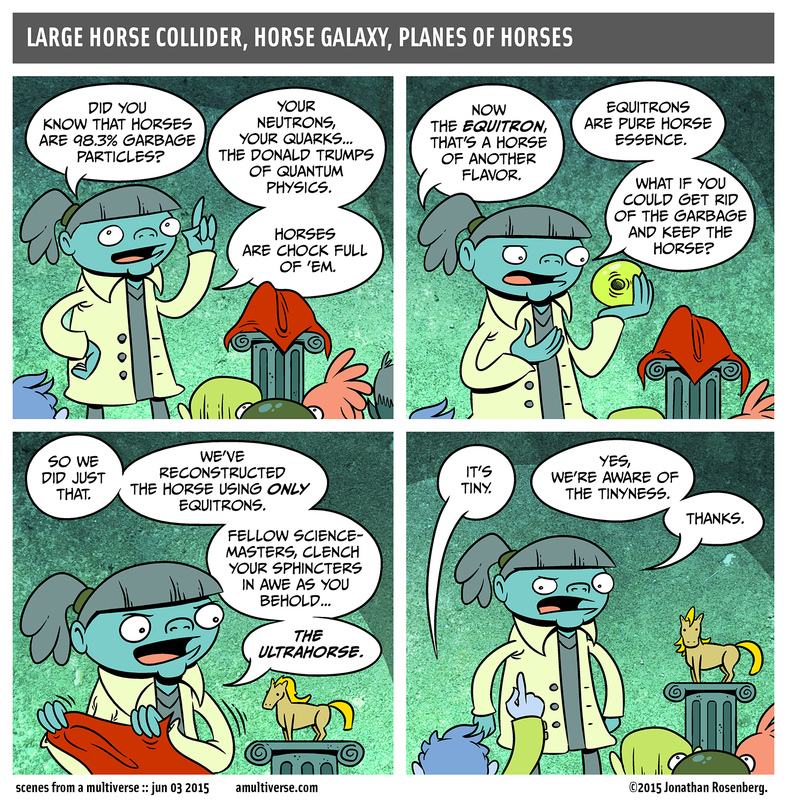 Some of those questions are related to horses. I dunno. We'll see. 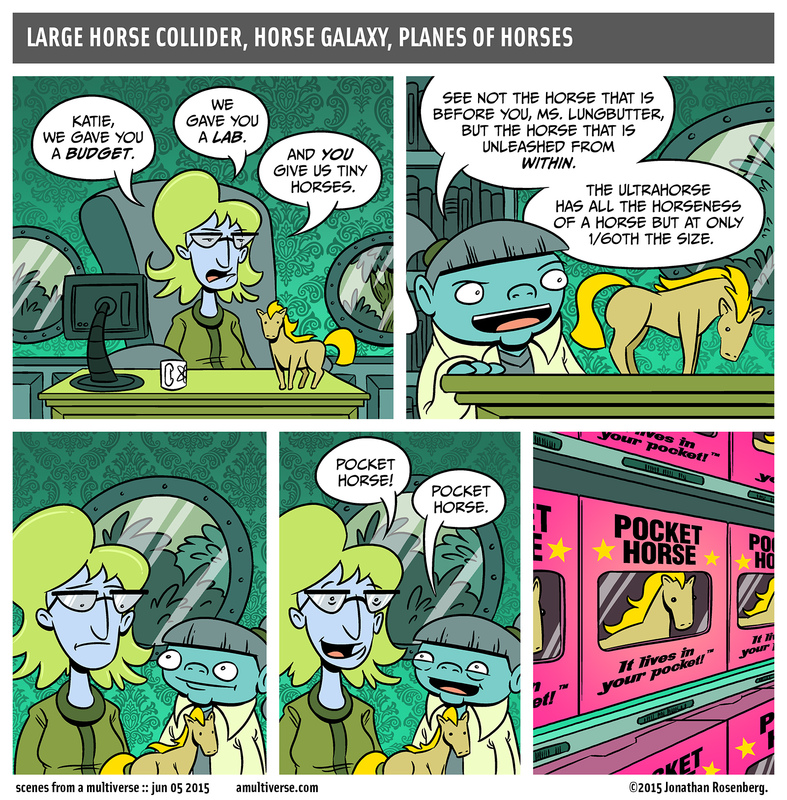 Welcome to Horse Week! 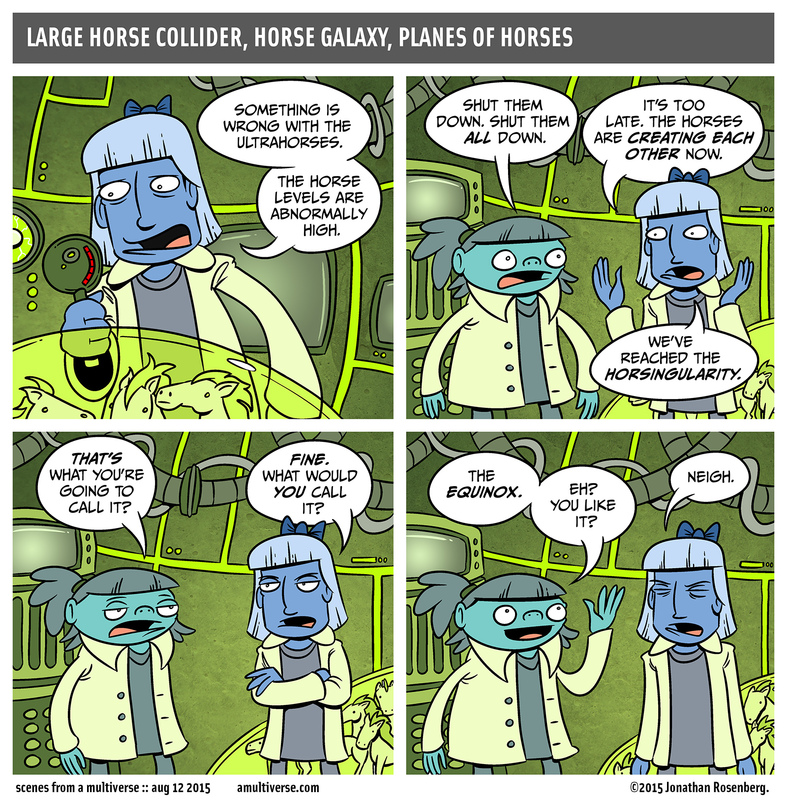 We've delved into the subject of horses before, but they've often left us with more questions than answers. Who are these mysterious creatures? Where do they come from? What do they want? Do they want candy?